It can work for Mach 3 use. It max support 4 axis. the 4th axis- A axis, no A=0 function ( A axis functions are not as much as the other 3 axis). All the buttons can be programmable. About the hand wheel, you move slow, the machine runs slow; also you move fast, the machine runs fast. 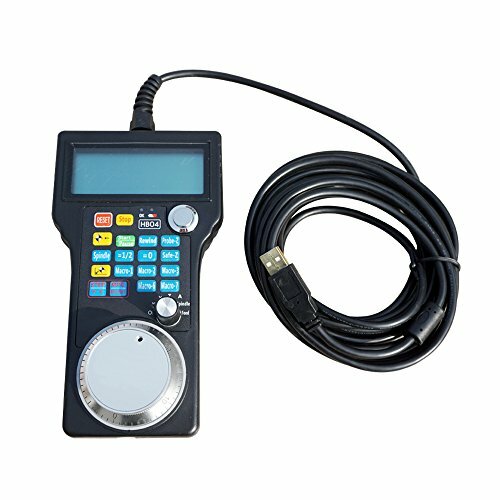 It can display machine status, run, pause, idle, step value, X y Z axis workplace coordinate and x y z axis machine coordinate. It also shows the feed rate, spindle speed. If you have any questions about this product by ECO-WORTHY, contact us by completing and submitting the form below. If you are looking for a specif part number, please include it with your message.